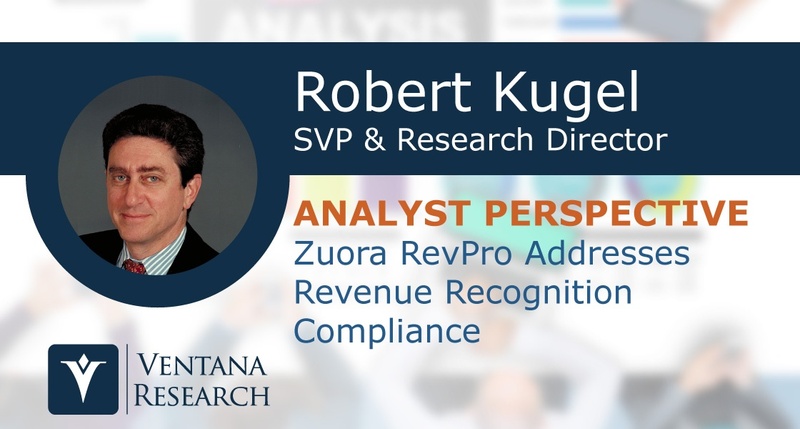 Earlier this year Zuora acquired revenue recognition software vendor Leeyo. Zuora, which initially focused on taming the complexities of subscription billing, has been broadening its software offerings to handle a wider set of the operational and financial requirements of a subscription business. Leeyo held a Revenue Recognition Summit in 2016 and the event was recently repeated. The need for the Summit reflects the impact new standards for accounting for contracts will have on subscription businesses. Compliance with these standards is proving to be a major challenge for companies that have subscription or recurring-revenue business models. When the term “governance, risk and compliance” (GRC) was introduced almost 10 years ago, software for this purpose was not a real category but a loose grouping of disparate applications that had something to do with meeting the requirements of the recently passed Sarbanes-Oxley Act. (You can find my perspective on the GRC category from a couple of years ago here. Now, with the release 10.0 of SAP BusinessObjects GRC, SAP is taking another step toward making the software category a real, comprehensive one that addresses the business and IT requirements of risk and compliance management efforts. This is the first platform that enables companies to efficiently provision risk and compliance management at an elemental level (for example, to manage individual access controls and process controls) and – over time – to gain effectiveness benefits from having the ability to comprehensively manage compliance and risk.